The Elder Scrolls has a history of attracting superstar talent to voice its characters. Patrick Stewart, Max Von Sydow, and Sean Bean are just a few of the A-list actors that have lent their voices to the series over the years. The Elder Scrolls Online, the upcoming MMORPG developed by Zenimax Online Studios, will continue that tradition of excellence with its most impressive cast yet. A press release issued by Bethesda Softworks on January 23 reveals some of the stars behind the voices that will accompany us in the land of Tamriel later this year. John Cleese is a well respected Academy Award nominated actor and founding member of the legendary comedy troupe Monty Python. His career as an actor spans over 45 years but he’s no stranger to voice acting for video games. He has appeared in numerous games including Fable III and Jade Empire. His experience and stature bring a great deal of credibility and prestige to The Elder Scrolls Online. Bill Nighy is one of those actors whose name may not be as recognizable, but he makes any movie better simply by being in it. You may recognize him from the Underworld series, Edgar Wright’s Cornetto Trilogy or any number of other films, but if you don’t, trust me, he’s awesome. He’s had limited experience in video games, voicing characters in games based on films that he’s starred in including G-Force and Disney Infinity where he reprised his role of Davy Jones from the Pirates of the Caribbean movies. Kate Beckinsale is probably best know for starring as the Lycan killing Death Dealer named Selene from the Underworld film series. She is an accomplished actress who has received recognition for her performances in films such as The Aviator, The Last Days of Disco, and Serendipity. Her experience in genre films like Van Helsing and Total Recall will serve her well in her first foray into the video game world. Alfred Molina brings over 35 years of experience and multiple acting awards to The Elder Scrolls Online. Probably best known to gamers for his role as Dr. Octopus in Sam Raimi’s Spider-Man 2, Alfred Molina has received praise and recognition throughout his career for his work in films like Frida, An Education, and Magnolia. Michael Gambon inherited the part of Professor Dumbledore in the Harry Potter film series after the unfortunate passing of Richard Harris. With the pressure of an unenviable task, he was able to honor the man that preceded him while making the part very much his own. Michael Gambon is a highly decorated Golden Globe nominee with a nearly 50 year career. His sole experience in video games comes from a 2004 PS2 release titled Ghosthunter. Malcolm McDowell is an acting legend. He has worked in an enormous amount of productions in his 50 year career. Though his critical awards may not reflect the impact he has had on the acting profession, Mr. McDowell is respected throughout the film community. His past video game experience includes God of War III as well as Fallout III where he played President John Henry Eden. Lynda Carter has the most experience of any any actor with The Elder Scrolls. She has voiced characters in the every major release in the series since 2002’s Morrowind. She will be reprising her role as Azura that she first voiced in The Elder Scrolls V: Skyrim. As with many of the other actors listed here, Lynda Carter has had a long and successful career. Her most famous role has to be Wonder Woman in the iconic television series of the same name. Peter Stormare is another name you may not recognize, but if you’re a film fan you’ll recognize his face. Peter Stormare has appeared in a number of movies, most notably Fargo, The Big Lebowski, Bad Boys II and Armageddon. His game credits include The Bard’s Tale, Quake 4, and the Mercenaries series. Jim Ward has an extensive and varied career. His specialty is voice-over, in which he has appeared in some of the greatest movies ever: Wall-E, Spirited Away, and Despicable Me 2. His video game career is equally as varied with way too many projects to list here. His role as Captain Qwark is probably his longest running character. Listed as 2013’s most prolific video game actress of all time, Jennifer Hale has plenty of experience in the video game world. Her first video game role occurred in 1994 with Quest For Glory IV: Shadows of Darkness. She has played countless roles in the gaming universe and deserves the respect that her career demands. Her greatest role so far has been as the female version of Commander Shepard in the game series Mass Effect. 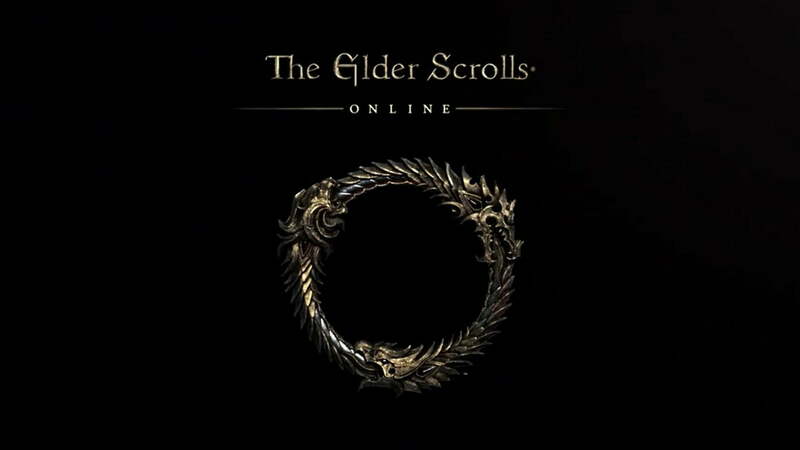 The Elder Scrolls Online has an extraordinary amount of star power, but will that be enough to interest gamers? Only time will tell. For me? I’m intrigued. Click here to take a look at the entire press release from Betheda.